I once met the original Colonel Sanders. Not an actor playing a role in a commercial mind you, but the actual Harland Sanders. It was in the mid-1970s and I was still a youth growing up in Louisville Kentucky. My uncle, a certified badass former Green Beret who fought in Vietnam and went onto be a cop, was the bodyguard for Harland Sanders. I could never figure out why Colonel Sanders needed a bodyguard, but he was pretty rich at the time, so… Anyway we saw my uncle and the Colonel at a restaurant owned by Sanders’ wife Claudia in Shelbyville. My uncle whose ground I worshipped I might add, introduced me to the Colonel who was dressed is his signature white suit. I don’t remember much about the encounter other than the fact that he shook my hand and smiled, something I was told later he rarely did. Fast forward to today and KFC has brought back the Colonel, who went to that chicken coop in the sky many years ago. Today’s youth of course have no real idea who Colonel Sanders really is; just that he makes fried chicken that has no doubt contributed to more than one heart attack. KFC still makes a good product that’s relatively inexpensive, however many would agree that it’s time to retire the Colonel, he does seem a bit outdated. This thought occurred to me a few days ago during my week with the latest test vehicle, the 2016 Nissan 370Z Roadster. I sat in a KFC munching on a $5 fill up and stared at the blue roadster sitting in the parking lot. 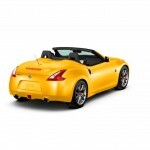 The 370Z is sort of like Colonel Harland Sanders, an oldie and still a goody, but maybe just a bit outdated. 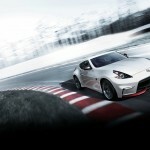 The sixth generation was introduced in 2009, but the Z can trace its roots back to the Datsun 240Z in 1969. What we have now is one of the coolest little rocket ships on the road today. However, I fear that it might be showing its age a bit. 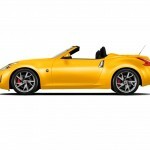 The Nissan 370Z is a two seater that can be had as either a hatchback coupe or the soft-top convertible aka the Roadster. The coupe can be had in base, Touring, Sport, Sport Tech, Nismo and Nismo Tech trims. The Roadster is sold in base, Touring and Touring Sport trims. The base-model 370Z coupe and Roadster come with LED running lights and taillights, automatic bi-xenon headlights, keyless ignition and entry, cruise control, automatic climate control and Bluetooth with a four-speaker sound system, all atop 18-inch wheels. 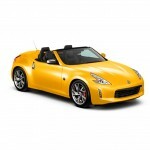 The Roadster has of course, a power retractable soft top. The coupe can be had with the Sport trim which adds upgraded brakes, a limited-slip differential, along with a rear deck spoiler and an eight-speaker Bose audio system with (new for 2016 and borrowed from the Nissan GT-R). Active Noise Control and Active Sound Enhancer technology set on lightweight 19-inch alloy wheels. The Touring trim gets rid of the Sports performance enhancements but upgrades the interior with leather/simulated-suede upholstery and suede door trim panels, a rear cargo cover on the coupe only, heated seats with four-way power driver adjustment and four-way manual lumbar adjustment and four-way passenger-seat power adjustment, and ventilated seats but only in the roadster. There is also a 7-inch touchscreen infotainment system with navigation, voice controls, a rearview camera, Bluetooth audio connectivity, USB/iPod integration and satellite radio, along with an auto-dimming rearview mirror and aluminum pedals. 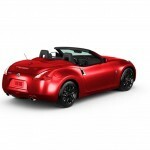 For the coupe you can add the Sport Tech package and for the Roadster you can add the Touring Sport package. These combine the contents of the Sport and Touring packages, without the front fascia and rear spoiler of the Sport model for the Touring model. The Sport Tech coupes likewise don’t get the upgraded upholstery, aluminum pedals and heated powered seats. The 370Z Nismo coupe has a bit more power under the hood, and either the same or upgraded Sports trim along with a sport-tuned suspension. There is also leather/simulated-suede Recaro manual sport seats along with some of the Touring package features like the auto-dimming rearview mirror and upgraded electronics features, including the touchscreen interface and the navigation system. Under the hood the 2016 Nissan 370Z, with the exception of the Nismo, get a 3.7-liter V6 that puts out 332 horsepower and 270 pound-feet of torque (The Nismo bumps the horses up to 350, with 276 lb-ft of torque). A six-speed manual is standard for the coupes and Touring and Touring Sport roadsters. The Sport and Sport Tech coupes and Touring Sport roadsters with the manual gearbox get SynchroRev Match, a driver-selectable mode that automatically chirps the throttle during downshifts to help get smoother gear changes. A seven-speed automatic transmission with manual-shift capability and downshift rev matching is optional for all 370Z coupes and standard on the base 370Z Roadster. My tester for the week was the top of the line Roadster, the Touring Sport with the six-speed manual. Oh what a joy it was. I had a 2014 370Z Roadster in 2013, and liked it very much. The 2016 did nothing the change that view. Interior wise the upgraded materials and placement of the gauges is very well done. According to Nissan, the design uses a “layer concept,” with an information layer, an operation layer and a holding layer. The gauges (information layer)are easy to read behind the wheel, and atop the dash which has a scooped design (holding layer) and uses a 3-pod cluster with oil temperature, voltmeter and clock (Operation layer). The surface of the leather-wrapped wheel is “shaved” to give a more kidney-like shape to better fit in the hand and the manual transmission shifter is padded in different areas in a way Nissan says helps shifting. The interior has always impressed me. 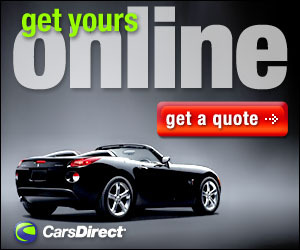 The fit and finish and the upgraded materials look like they would be at home in a more expensive car, such as the BMW Z4 or the Porsche 911, or even the fabled Chevrolet Corvette. But the 370Z is a niche car, not as expensive as those, and more than roadsters like the FR-S of Mazda Miata, both good cars but that lack the interior refinements and power under the hood the 370Z has. During my week I only had the top down twice. If you have read my reviews before you know that in the brutal Central Florida summer, putting the top down in any car will set you up to have your brain fried. Also during my week I worked the NASCAR race at Daytona International Speedway just a short road trip from home. I put a few highway miles over the course of three days. On the highway, top up of course, the ride is rough, the interior noise loud and the engine sound ever present. But I wouldn’t have it any other way. 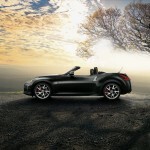 Because the Nissan 370Z is one of the few pure drivers cars left on the road today. There is little comfort, very little room to carry anything (the convertible Roadster has no trunk), and at the end of the day not very practicable for everyday use. But that’s perfectly fine with me. 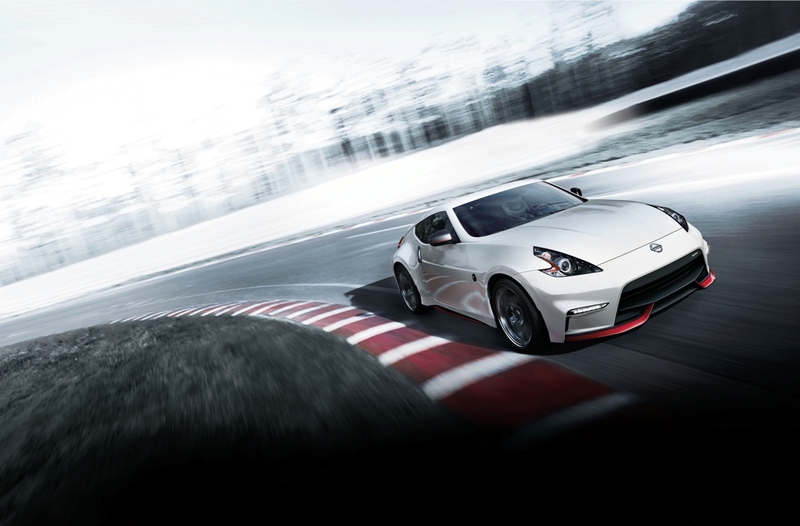 Because the 370Z is a hell of a lot of fun to drive, and that’s what it’s really all about. The week I had with it was a fun one. 0-60 in 5.4 seconds, and screaming around curves like the tires and pavement were Velcro. The SynchroRev Match on the manual transmission really works and only adds to the madness. The shift points and throw were excellent and I don’t think I missed a shift all week. 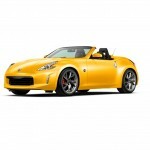 The 370Z is kind of like that $5 fill up I was eating at KFC, a good value and a guilty pleasure. As my heart cried out to stop eating fried chicken, I looked at the 370Z sitting there and realized like good old Colonel Sanders, it may be showing its age. Somewhat ironic that during the week I had the 370Z, George Hamilton was introduced as the new “extra-crispy” Colonel Sanders. 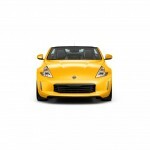 Like Hamilton, the 370Z still looks good, but it is graying a bit around the edges. It may be around for some time to come, and I sure hope it is. Because like the guilty pleasure that is fried chicken, the 370Z serves very little purpose beyond satisfying our hunger for speed. There are many who don’t understand the Colonel, and just as many who will never understand what joy a pure drivers car can bring. 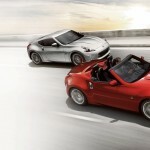 Let’s hope that if the Colonel does fade away, cars like the Nissan 370Z don’t follow. EPA interior volume: 56.5 cu.ft. Cargo capacity, all seats in place: 4.2 cu.ft. Maximum cargo capacity: 4.2 cu.ft.